At the time, the police accused the Hillsborough victims and other Liverpool fans of causing the disaster through their own drunkenness and disorder, a narrative that the news media eagerly echoed. That made the event a flash point in the public debate over class, poverty and the responsibility of government to its citizens. And because those issues have remained central to British politics and life ever since, so has Hillsborough. 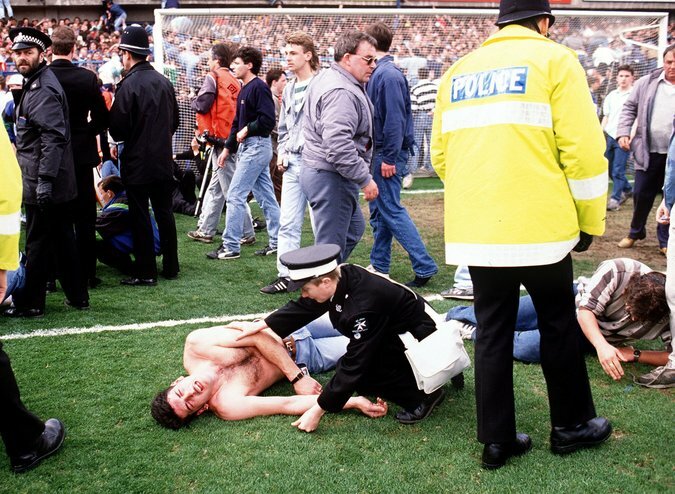 Injured fans on the field at Hillsborough Stadium in 1989. How Did Hillsborough Become a Political Flash Point? Soccer, at least at the time, was associated with the poor and working class, and particularly with “yob” culture, British slang for unruly, dangerous, drunken louts, and a term often used to deride the poor. In the aftermath of the Hillsborough disaster, those stereotypes were convenient for the police, who took advantage of them to claim that the deaths were the fault of intoxicated Liverpool fans, not the officers in charge.